For many, the holidays are the perfect time to help others. 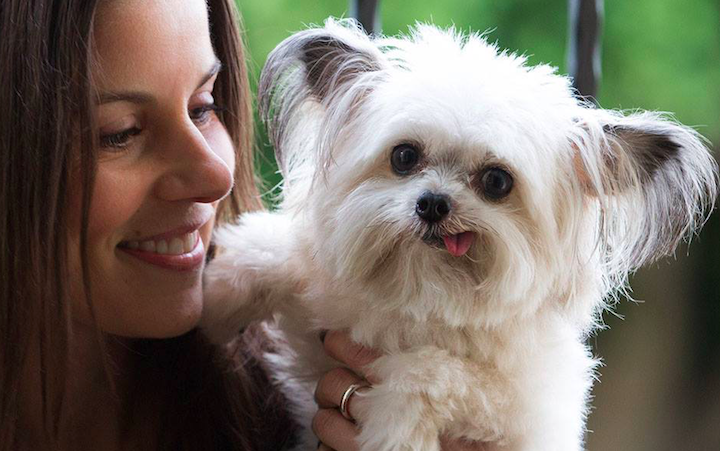 For Norbert the three pound therapy dog, however, giving back is a year-round passion. Whether he’s high-fiving kids in children’s hospitals or raising money for special needs pets, Norbert is living proof that you don’t have to be big to make a big difference. We chatted with Julie Steines, Norbert’s human, to learn more about how he began his journey as a therapy dog, his volunteering efforts, and of course, his signature high five. 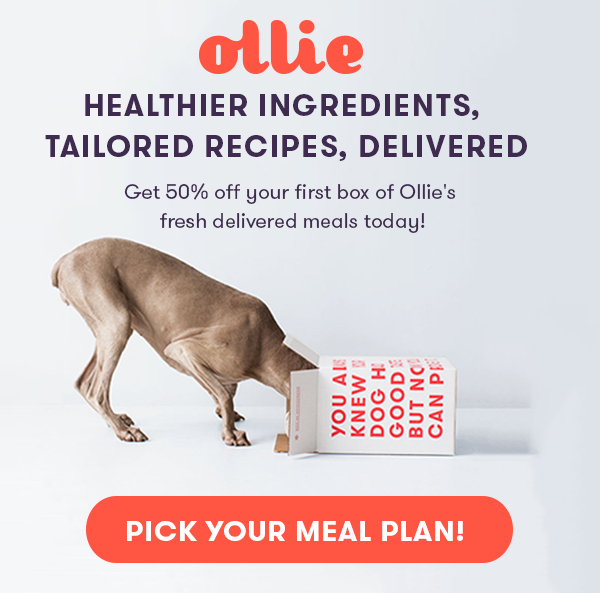 Ollie: Can you tell us about how you decided to adopt? Julie: Norbert is my first dog. I wanted to get a little fur friend and decided to adopt. When I saw his tiny face, he captured my heart. I knew he was the dog for me. Ollie: When did you realize Norbert had such great therapy dog potential? Julie: I was in an eyeglass store with Norbert one day in Boston, and the sales lady noticed how he made everyone smile. She told me she thought Norbert would make a great therapy dog. I wasn't familiar with the process, so I researched it, trained Norbert, and he passed all his tests. Norbert's first book, Norbert: What Can Little Me Do? tells the story from his perspective. Ollie: Can you tell us more about Norbert’s volunteer work? Julie: He has seen hundreds, maybe thousands, of people of all ages. Volunteering with Norbert has been the most meaningful work I've ever done. It is a humbling honor to bring joy and comfort to people in need. 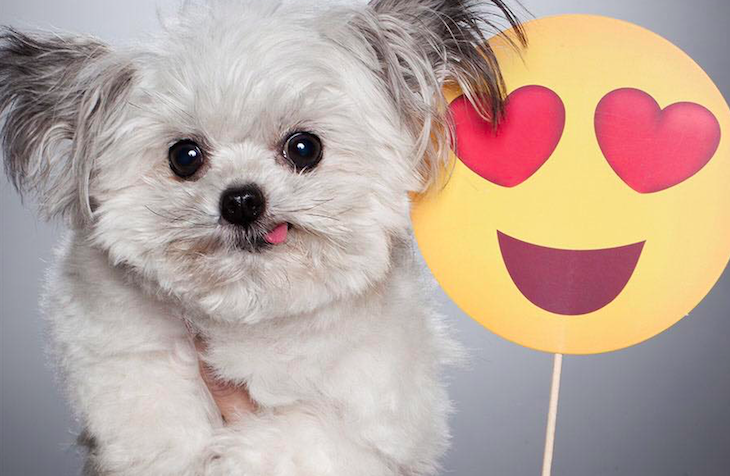 Beyond his visits, Norbert's sweet face brings smiles to his millions of followers worldwide through social media. We have had the chance to correspond with wonderful folks we would otherwise never have the chance to meet. It's been unexpectedly remarkable and rewarding. Ollie:: Do any memorable stories come to mind of a person Norbert has had a big impact on during his time volunteering? Julie: This year Norbert and I volunteered at the Los Angeles Mission for their annual Skid Row Easter where over 4,000 meals are served to people in need. We were honored to serve, and as always, it was a joy to see how a little dog with a big heart can spread smiles just by being himself. We handed out Norbert high-five stickers which were loved by children and adults! Ollie: We love Norbert's motto, "You don't have to be big, to make a BIG difference in the world." Why do you think Norbert resonates so well with kids? Julie: I have given many book readings and presentations, and we have asked kids what they learn from Norbert. They tell us that his example of being kind and spreading smiles is something anyone can do, no matter one's size. They also have said that he shows them everyone has a special gift, which means being yourself. Ollie: Norbert and Lil BUB’s book, What Can Little We Do, is awesome. Can you tell us more about the big impact they have made through their partnership? Julie: Lil BUB is a special cat who has touched so many people with her courage. By teaming up to create this book, we were able to show the power of teamwork as our theme, and raised thousands of dollars for BUB’s Fund for the ASPCA. 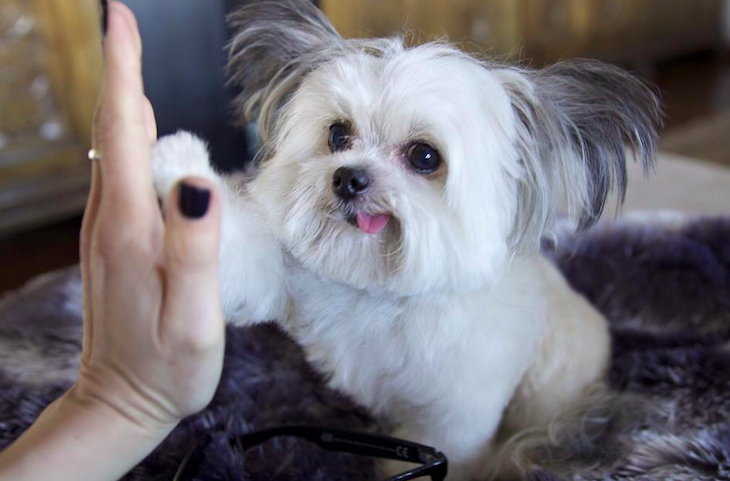 Ollie: How quickly did Norbert learn his signature high five? Julie: Norbert is very smart and highly motivated by food. He learned each of his tricks very quickly. Ollie: What has been Norbert's most memorable high five? Julie: Norbert has met many celebrities, and he has also met many special kids and adults struggling with all kinds of challenges. He is always humble and values every high five he has been able to give. But giving a high five to my future husband, Mark Steines, for the first time was perhaps his most memorable. Keep up with Norbert on Facebook! Pearl Steinberg is a writer with a passion for Akitas, Boxers, Coonhounds and Dogs that start with every other letter of the alphabet.